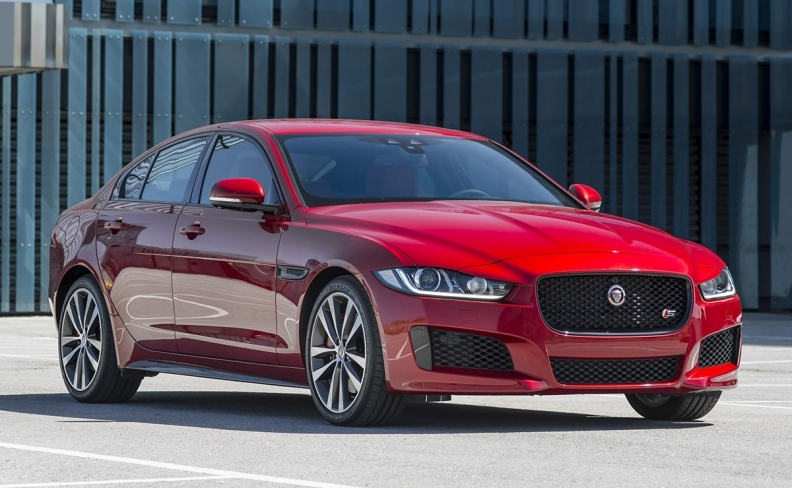 New models such as the Jaguar XE are boosting the premium midsize segment. Sales of luxury midsize cars in Europe are on track to top sales of mass-market rivals this year for the first time as buyers looking to move upscale increasingly choose Mercedes, Audi or BMW cars over mass-market brands. European sales of premium midsize models jumped by 8 percent to 652,000 through November while sales of mainstream midsize cars rose by just 1 percent to 582,000, according to JATO Dynamics market researchers. The trend is likely to continue in December, giving premium brand the greater share of European midsize new-car sales. “Aspirational” buyers seeking upscale models are helping premium midsize sales to grow faster than their mainstream counterparts, said JATO Dynamics global analyst Felipe Munoz. Sales of mass-market midsize cars such as the Volkswagen Passat or Ford Mondeo are also being hit by the increasing popularity of SUV/crossovers, Munoz said. German premium brands have also been expanded their midsize lineups beyond traditional sedans and station wagons with cars such as the BMW 3 series GT fastback and the Audi A5 range. For BMW, renaming its 3-series coupe as the the BMW 4 series coupe has been a success. Premium automakers are also now selling cheaper entry-level models and new luxury midsize cars such as the Jaguar XE and Alfa Romeo Giulia also have boosted sales. "There are fewer and fewer reasons to buy a large mainstream sedan or station wagon,@ Munoz said. Among mass-market brands, automakers such as Fiat, Honda and Nissan have exited the midsize segment in Europe.